Last weekend, Jeff and I cleaned out our dresser and when we got to the pajama drawers, I realized that the pjs section is starting to consist almost solely of t-shirts that neither one of us really wanted anymore. So, we stacked them all up in a pile and I brought them to the studio because I’m a hoarder so I could repurpose them for something new. 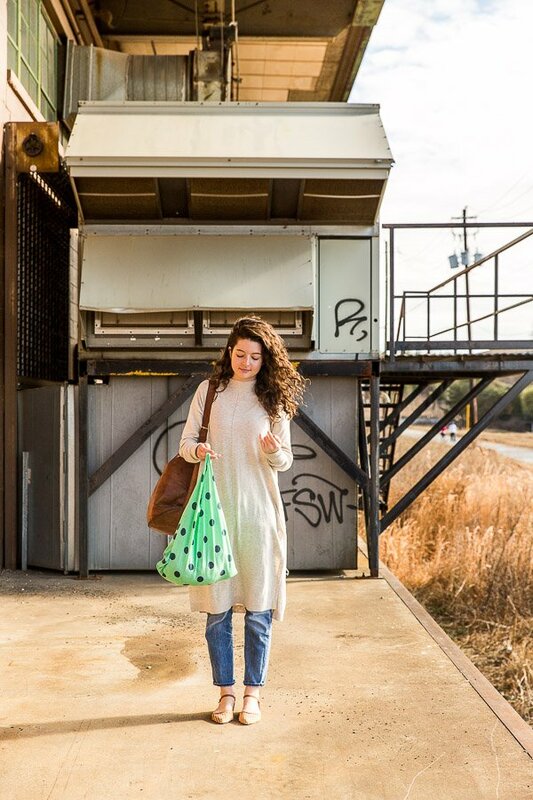 And that’s how these DIY reusable grocery bags came about. There’s only a couple lines to be sewn and the rest is just clever cutting, so this project literally takes less than 5 minutes to make. Can’t beat that. Click through for the tutorial. 1. 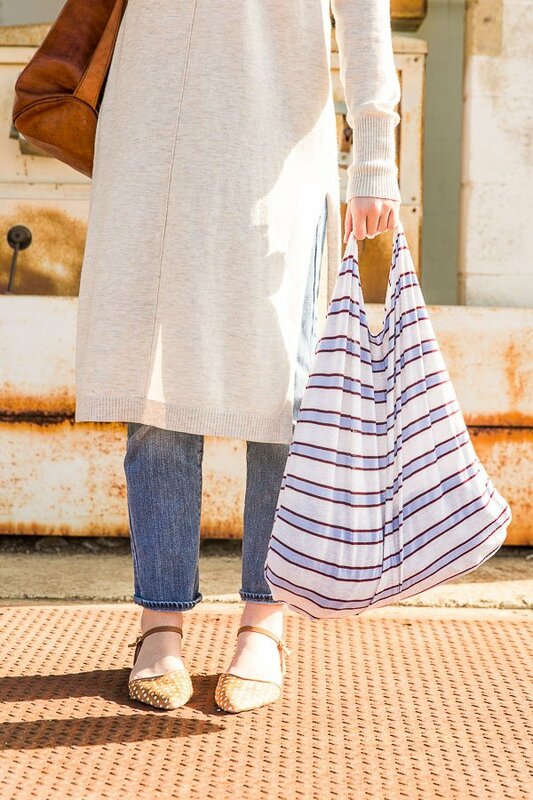 Turn t-shirt inside out and sew a zigzag stitch in a straight line across the bottom of the shirt opening, 1-2 inches up from the very bottom. Backstitch at the beginning and end for extra strength. Then, for extra strength, run over the zig zag stitch a second time. 2. To create more finished looking corners, add a zigzag stitch at a diagonal on each corner, as shown in photo. Then cut off any excess fabric. 4. Next, sew a zigzag stitch across the top, where the collar was, to create the strap. Just like in step one, be sure to backstitch at the beginning and end and go across the stitching at least twice for extra strength. 5. Cut off excess fabric and turn the bag right side out. 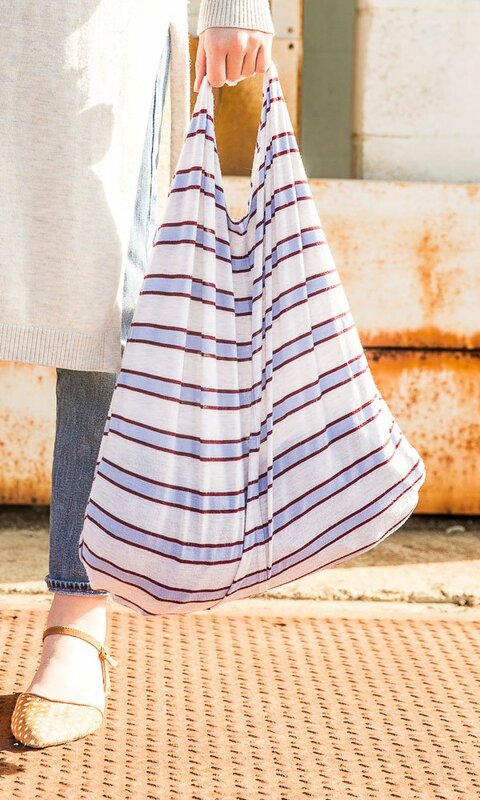 Use these grocery bags to replace plastic bags at the store or use them as extra storage in your car, etc to keep items from rolling around in the trunk, etc. 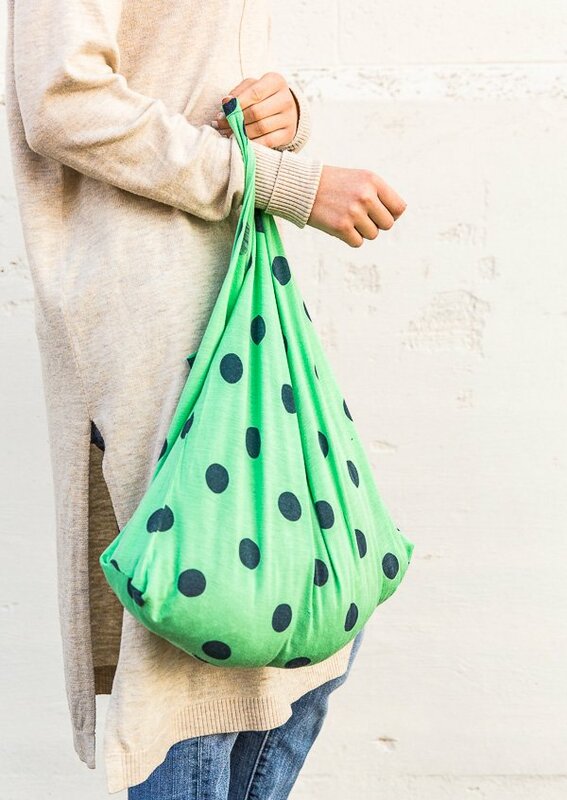 You could even use them as a regular tote / light purse option if you’re feeling crazy. 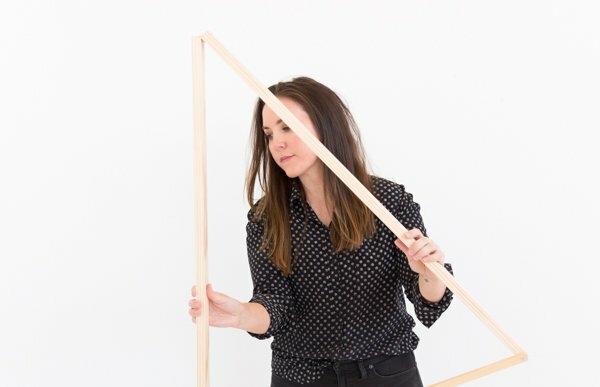 Think you’d give this upcycled project a try? 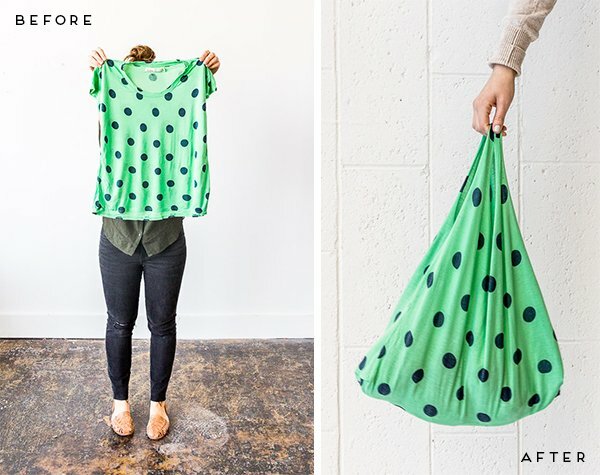 Do you have any old t-shirts in need of some repurposing? Let me know how it goes, Jessica. This is SUCH a good idea! And seems so easy to do too, I’ll have to give this a go. You totally should, Sophie. So, so easy! 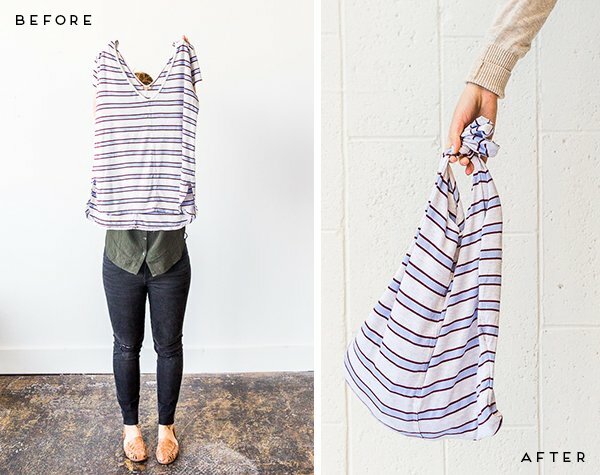 What an awesome way to re-purpose old clothes! I just got a sewing machine for Christmas so I’m super excited to try new things. This looks easy enough to take on! What a genius idea. 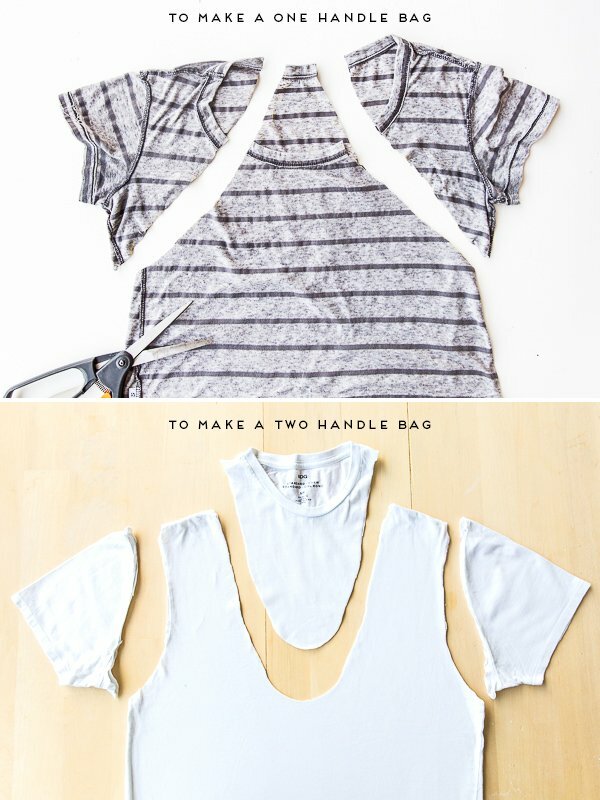 I’m so going to do this with my old shirts. I know I’m blind, but don’t see the picture for cutting two handles. I may be confused, but I don’t understand how to do the two handle option. 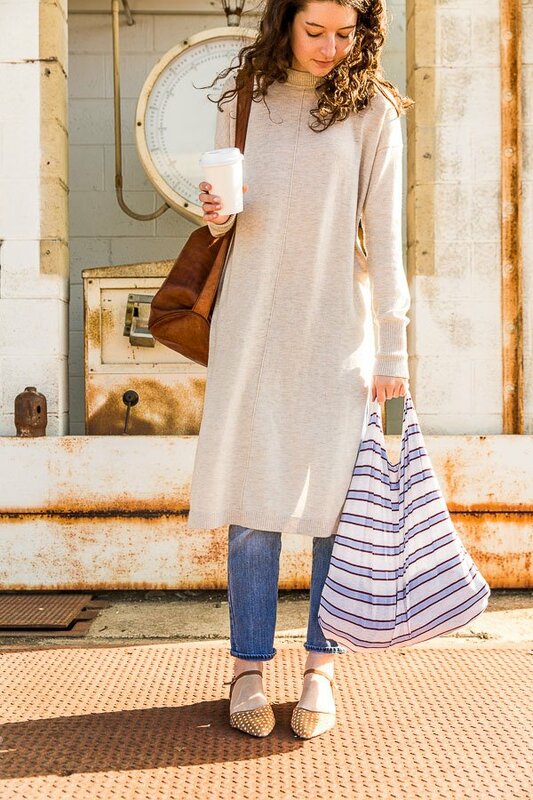 The picture of the sleeves being cut off would be for a single handle, no? Thanks for catching that Lisa, Blythe, Micky, and Anna. You’re right, I didn’t have the two handle cutting example in the post. I went back to add it in once I saw your comments and realized I didn’t actually take a photo of it at all. So, I cut a new shirt, to show how to do the two handle method and updated the post. You’ll see the side by side of the one handle and the two handle cutting techniques now, right under the tutorial photos. Let me know if you have any questions, but the two handle method is made the exact same way, you just skip steps 4 and 5. Ohh my goodness…!! what a great idea. I can use my old t-shirt for a carry bag. That way I can avoid the use of plastic bag. Kind of West to the Best idea. Friends I love this. Hi! I’m a super SUPER beginner/novice at sewing with basically no experience so I’m sorry if this question is stupid! With the one handled option I’m unsure how you are to sew that handle together. I see how to cut the sleeves off but it seems like if you just sewed the remaining piece at the back of the neck hole to the remaining piece at the front of the neck hole, they are quite different sizes (the front of the neck hole being longer because of the shape of neckline and cuts). Is this how you’re supposed to sew them together to create the single strap? Thank you so much in advance for any advice!